Criminals! You can't run, you can't hide because the galactic police are here! 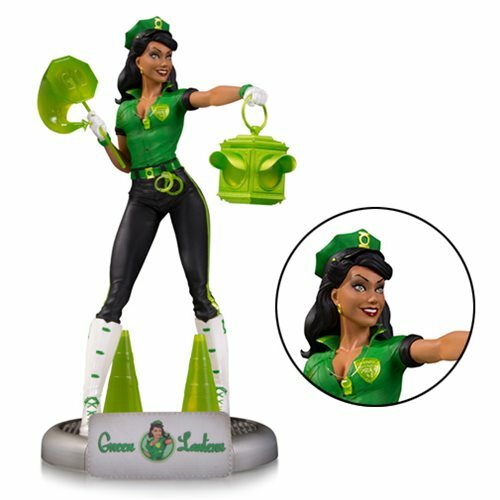 Designed by Ant Lucia at 9-inches tall, the DC Bombshells Green Lantern Statue of Jessica Cruz comes to stop wrong doers in their tracks with her projected traffic light, cones, handcuffs and stop sign. Ages 14 and up.